Bronze Magic: Chrollo uses this form of magic to create and manipulate bronze. 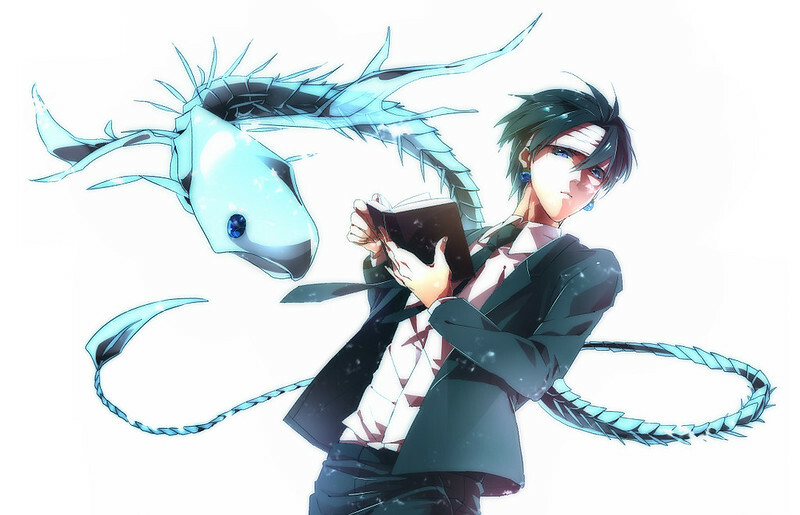 Creation Magic: Chrollo uses this form of magic to create various bronze-based entities. Bronze Creation Magic: Magnum Cannonball 「Seidō Sōsei Mahō "Magunamu Kyanonbōru", literally meaning: "Protective Magic Cannonball of Bronze"」: With an open grimoire, the user manifests a transparent sphere around himself. The sphere has several peaks at random positions. It also has an intricate pattern across its surface. Bronze Creation Magic: Indoor Fish (密室遊魚インドアフィッシュ Fish Playing Behind Closed Doors): With an open grimoire, the user manifests a bony fish with a long, snake-like tail, and a pair of wings. Fish made by this spell have a pincer-like bite strong and sharp enough to sever stone.